0-3 at halftime. 0-7 final. Sunny, warm-ish. 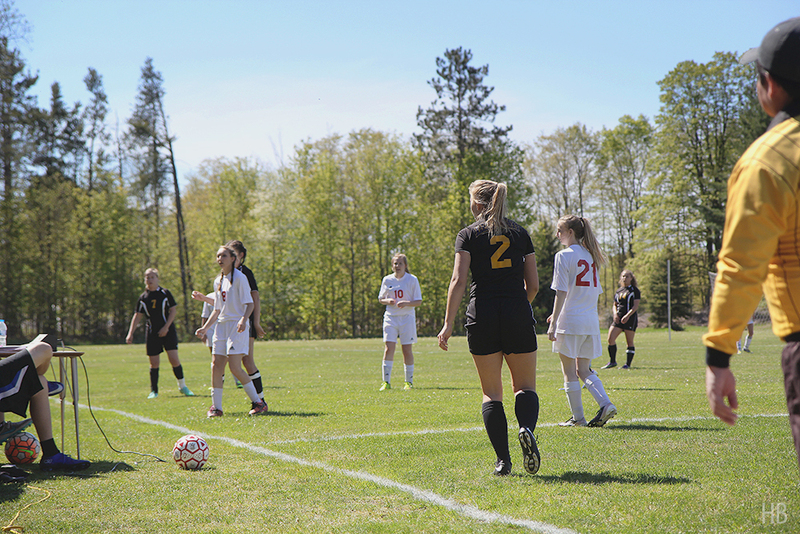 This was the 14th game of the 2016 season and the seventh home game for the Benzie Central Girls Varsity Soccer team. This was the second time this season that we faced Leland (see the first game highlights here). Our girls were slow to start, which Leland took advantage of, putting three goals in the net within the first six minutes. It took our girls a few minutes to figure out who was supposed to be where — things changed around a bit from our original line-up, so that we could match Allana Bostick up with Leland’s #14 Libby Munoz, now the #1 goal-scorer in the state, regardless of gender, division, or age. 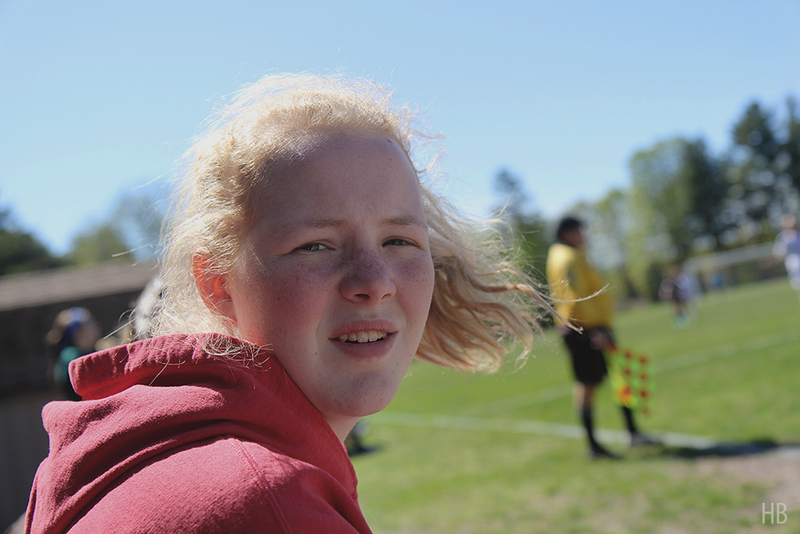 After that, the Huskies managed to contain Leland and Libby, playing a really tough 34 minutes of soccer. 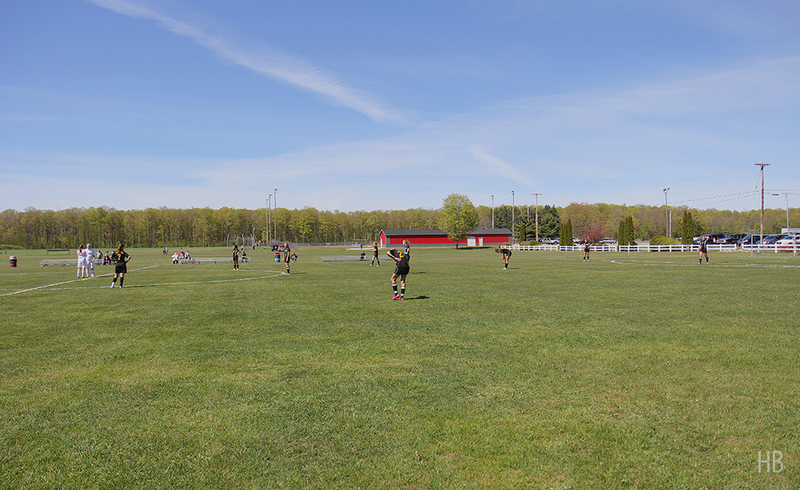 Leland took a total of 15 shots in the first half on Benzie goalkeeper Maile Church, and most of those shots were confined to the right side of the field. 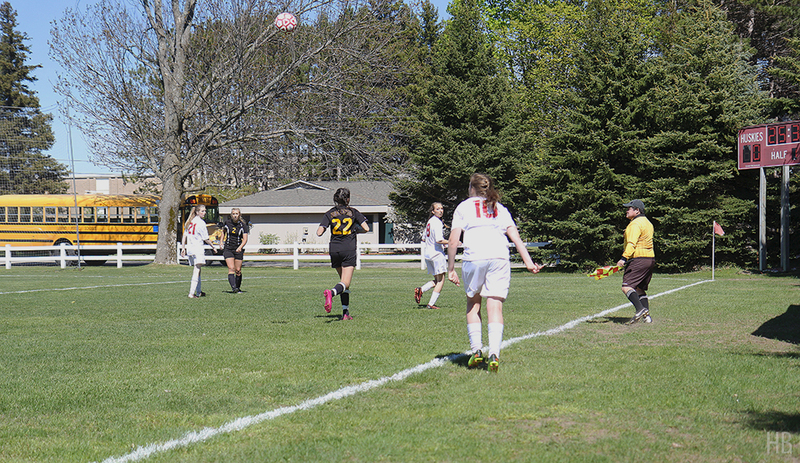 At only 1 minute into the game, the first goal came from Leland’s #11, freshman Mollie Grishaw. 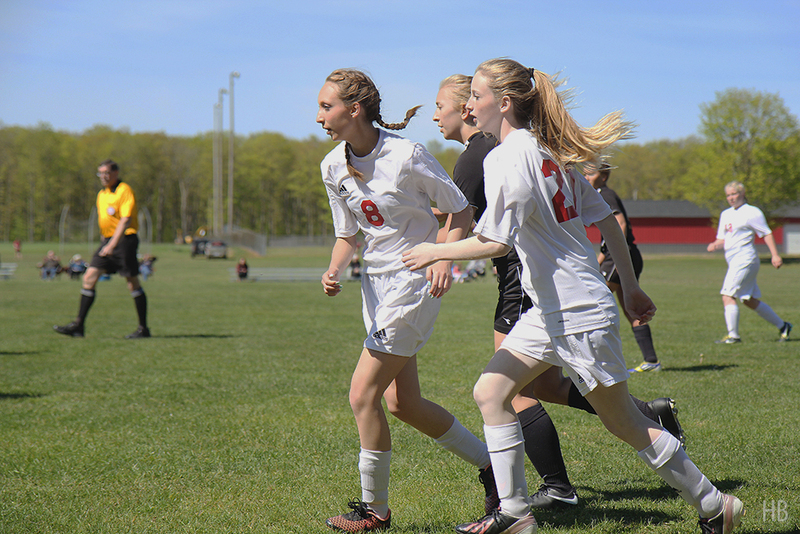 The second goal came from a skirmish in front of the net via a corner kick and was scored by Leland’s #23, freshman Margie Stow, at three and a half minutes into the game. The third goal came at five and a half minutes in from Libby Munoz, who recovered a shot that had hit off the post. Benzie had only one shot in the first half, which came from outside the 18-yard line by Sydney Ghering. With 10 minutes left in the first half, Benzie coaches Scott Kubit and Aubrey Ann Parker decided to move Megan Cota up from her position as sweeper to try to create some offense and score a goal. 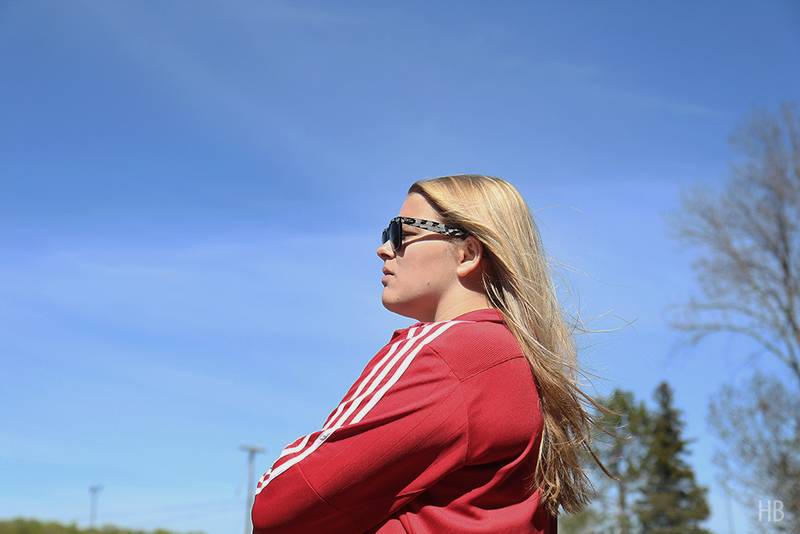 Megan was looking hungry for a goal, but she wasn’t able to put one in. The coaches then switched around a lot of positions in the second half, as well, again taking some hits on defense to try to create some offense. Ultimately, this allowed Leland to take 16 shots in the second half, most of them at the 10-yard line in the center, and they were able to score on four of these opportunities. Molly Grishaw scored her second goal of the night at 10 minutes into the second half. Libby Munoz scored her second goal just three minutes later, followed by her third goal (“hat trick”) 14 minutes later. 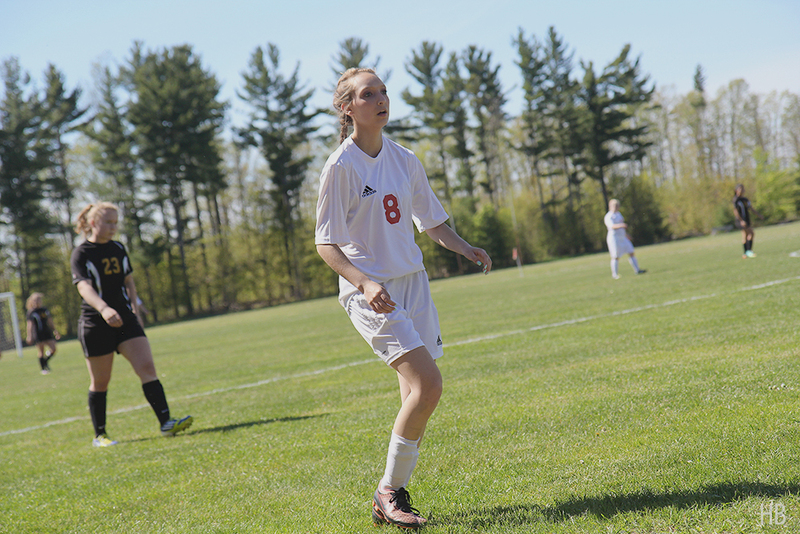 Libby scored a final goal with just seven minutes left in the game for a final score of 0-7. 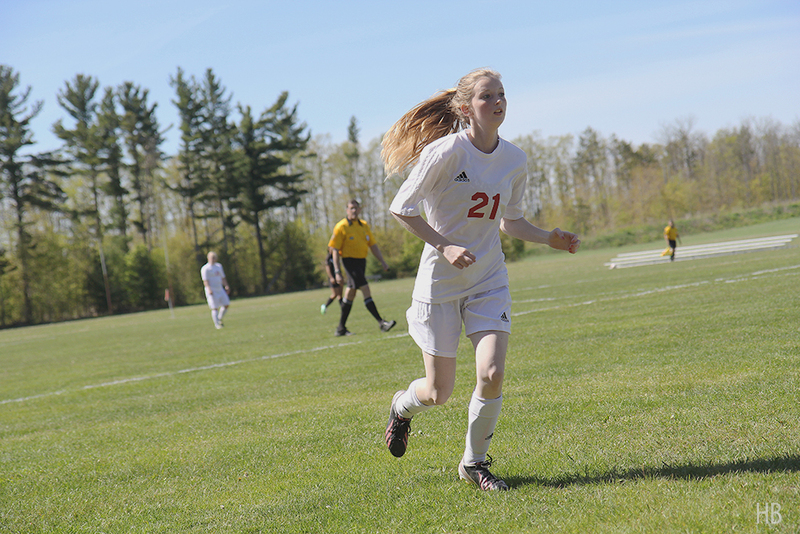 The Benzie girls had only one shot in the second half, which came from Haley Papineau. 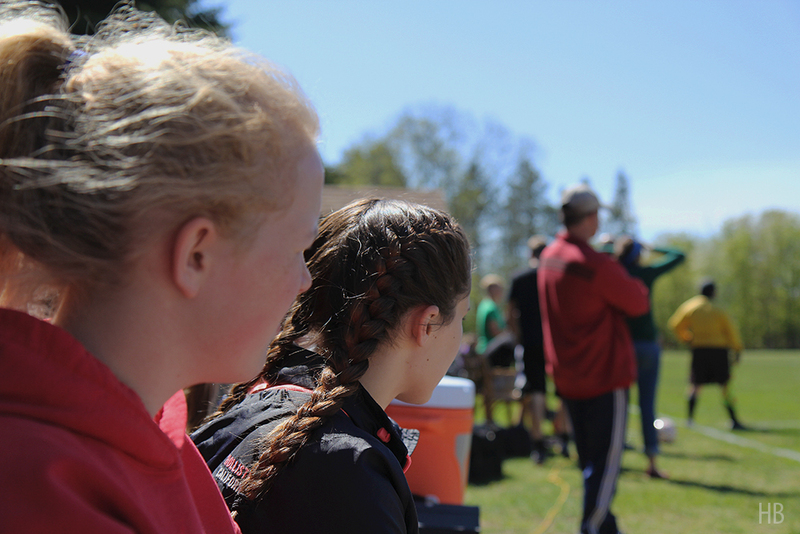 Overall, the girls played strong, but we are still struggling with injuries and numbers. Fortunately, we had enough to have one substitute, which is the first time that we’ve had a sub in over a week. We were missing: Myah Clous (sick), Grace Anderson (head injury), Hanna Burch (head injury), Fenja Firnhaber (ankle injury). Shannon Burch (Hanna’s mom) sent crackers and muffins for halftime snack; Carl and Laurie Harm (Brenna’s parents) sent apples and bananas; Lori Cota (Megan’s mom) brought ham and turkey subs sandwiches. Below you’ll find photos that Hanna Burch took during the first half of the game, thus they are denoted by a HB watermark in the bottom right-hand corner.